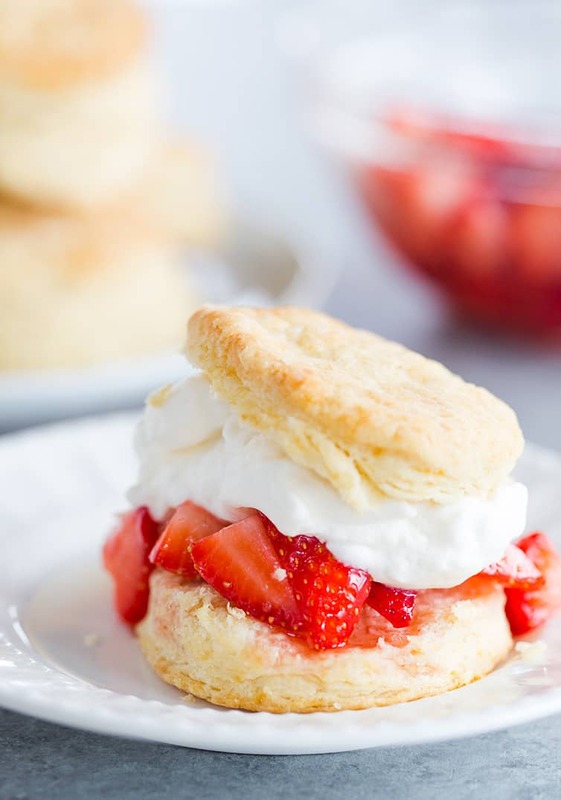 This easy strawberry shortcake recipe starts with homemade buttermilk biscuits that are topped with fresh, macerated strawberries, and homemade whipped cream. A summer staple! Are you consuming tons of fruit this summer? Joseph and I are loving big bowls of fruit salad, and both boys adore strawberries and blueberries. The strawberries have started looking absolutely phenomenal, so I decided it was high time that we had some proper strawberry shortcakes. 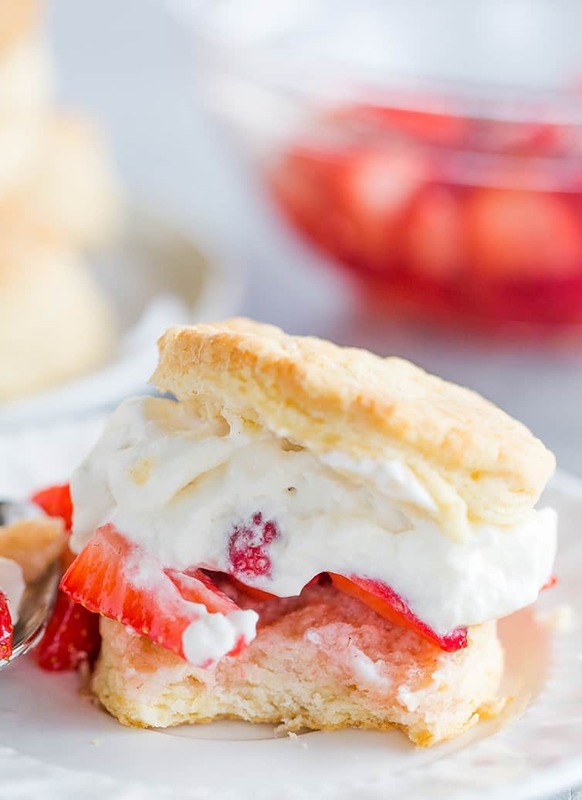 One of the easiest summer desserts you can make, strawberry shortcake is comprised of only three components: biscuits, strawberries, and whipped cream. 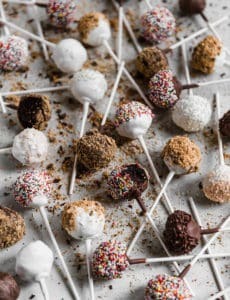 They are so easy to make, but if you take shortcuts you’re only robbing yourself of one of summer’s finest sweet treats. These beg to be done the 100% homemade route, so let’s discuss! You could totally throw together strawberry shortcake using biscuits from a can or mixing together Bisquick, using strawberry pie filling, and some spray can whipped cream. I’ve totally been there, but homemade strawberry shortcake is next-level amazing… let’s discuss the details! Homemade buttermilk biscuits – my very favorite tall, flaky biscuits! 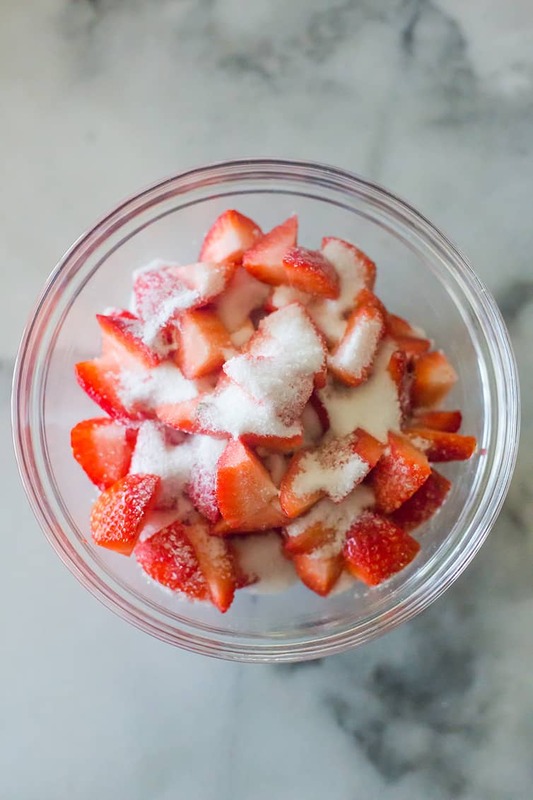 Macerated strawberries – because taking a fork or spoon through fresh strawberries just isn’t as blissful as super soft, sweetened strawberries sitting in their own sauce. Homemade whipped cream – SO much better than anything canned or from a tub! The combination is truly outstanding, and one you will be craving all summer long. 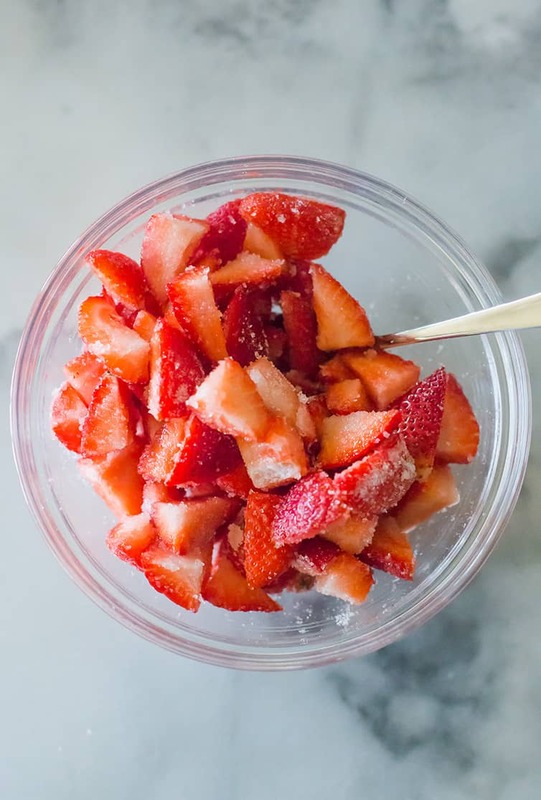 If you’ve never macerated strawberries before, don’t let the fancy word intimidate you – it’s SO easy! 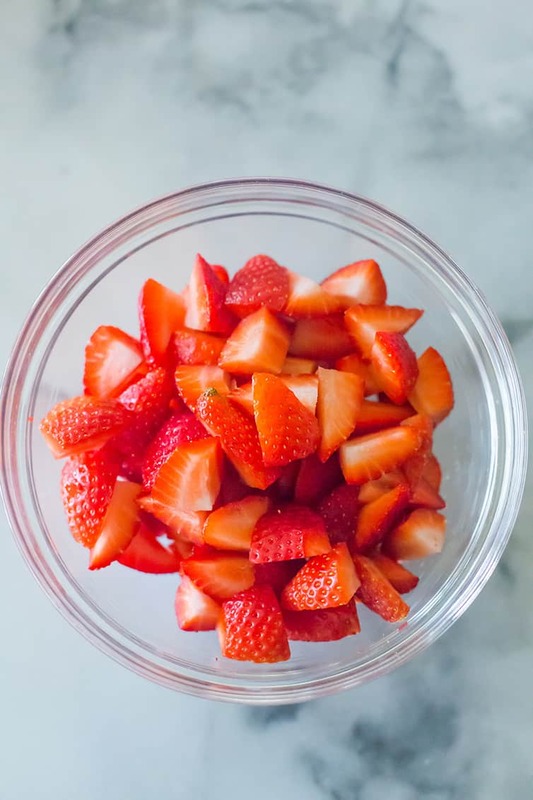 Literally all you have to do is mix strawberries with sugar and, let them sit there for a few minutes, do a quick mash to give their juices a jump-start, then wait for 1 hour. Can Strawberry Shortcake Be Made in Advance? Yes! All of the components can be made up to a day or two in advance, and then you can assemble the strawberry shortcakes whenever you’re ready for dessert. 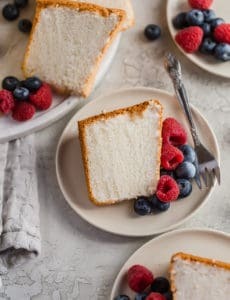 This makes it a perfect option for a summer brunch or lunch, when you might have much time in the morning before hosting; and of course it’s a great post-dinner dessert, as well! The biscuits can be made up to three or four days in advance and reheated in a 350-degree oven for 5 or 10 minutes for that fresh-from-the-oven taste and texture. The macerated strawberries will keep for 1 day in the refrigerator. Because they are breaking down, after that they tend to get a little bit too mushy and can develop mold quickly. The whipped cream can be made the day before, as well. 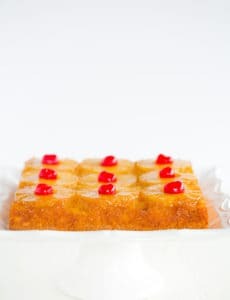 Simply whip it a little bit less stiff than you would ideally like it, and then when ready to serve, use a whisk to give it a few good beats to incorporate any separated liquid and stiffen it up. If strawberry picking (or just plain eating!) is on your summer bucket list this year, and you’re looking for something to do with all those buckets of strawberries you just hauled home, look no further. Your summer deserves these shortcakes! 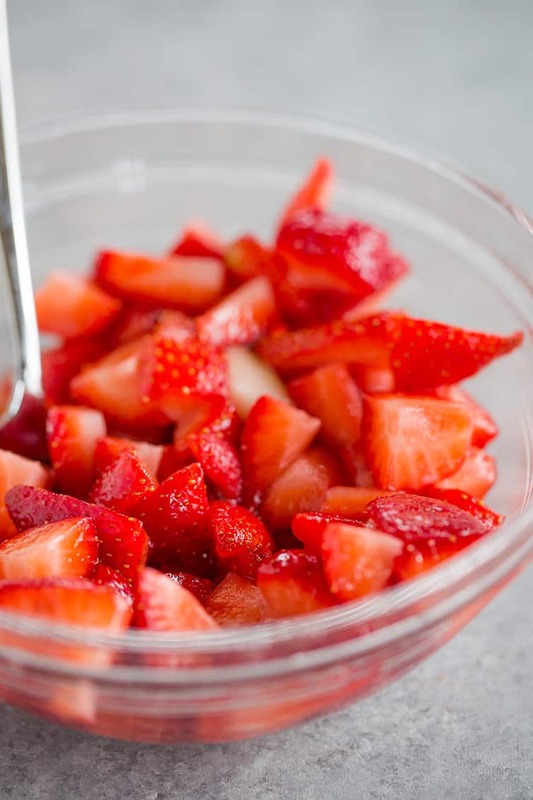 Macerate the Strawberries: Place the strawberries and the sugar in a large bowl and stir to combine. Let sit for 5 minutes, then use a potato masher to gently press on the strawberries (do not mash them). Let stand for 1 hour, stirring occasionally. Make the Biscuits: Preheat oven to 425 degrees F. Line a baking sheet with parchment paper or a silicone baking mat. Using a pastry blender (or two knives or your fingertips), quickly cut the butter into the flour mixture until the mixture resembles coarse meal with a few slightly larger butter lumps. Using a rubber spatula or fork, stir in the buttermilk until the mixture forms a soft, slightly sticky ball. Transfer the dough to a lightly floured surface and quickly form into a rough square. Be careful not to overmix. Pat the dough into a 1-inch-thick rectangle. Fold the dough letter-style into thirds, then lightly pat the dough back out into another 1-inch rectangle. Try to handle the dough as quickly and lightly as possible. Repeat the folding 2 more times; after the final fold, press or lightly roll the dough into a ½-inch-thick rectangle. Using a 2½-inch round biscuit or cookie cutter, cut out the dough rounds and place on the prepared baking sheet. Pat and roll the remaining scraps to cut out more rounds. Brush with the melted butter and bake until the biscuit tops are light golden brown, 10 to 15 minutes. Brush with additional butter immediately, if desired. Serve warm or at room temperature. The biscuits are best served the day they are made, however leftovers can be stored in an airtight container at room temperature for up to 4 days. Reheat in a 350 degree F oven for 5 minutes. Make the Whipped Cream: Pour the heavy cream, sugar and vanilla extract into a mixing bowl. Turn the mixer to medium speed and whip. The cream will start to get frothy, and then will begin to thicken (around the 2-3 minute mark). Increase the speed to medium-high and beat for another 30 seconds to 1 minute, or until the cream looks billowy and there are distinct trails left by the whisk in the whipped cream. If you remove the whisk from the mixer and turn it upside down, the whipped cream should remain upright and not droop off. Assemble the Strawberry Shortcakes: Cut the biscuits in half horizontally. Spoon strawberries over the bottom of the biscuit and add a dollop of whipped cream. Top with the other biscuit half. Alternatively, you can also break up the biscuits and top them with strawberries and whipped cream. The biscuits can be made up to 4 days in advance (store in an airtight container at room temperature). Reheat in a 350 degree F oven for 5 minutes, then cool slightly before assembling the strawberry shortcakes. The macerated strawberries can be prepared up to 1 day in advance and stored, covered, in the refrigerator. The whipped cream can be prepared up to 1 day in advanced and stored, covered, in the refrigerator. When ready to serve, use a large whisk and give the whipped cream a few good hard whips to reincorporate any separated liquid and stiffen it up. This recipe was originally published on July 15, 2014. Can you make just the biscuit dough in advance? Hi Jen, I have not, but I’ll have to give it a try next time! Have you ever picked berries at Simmons’ farm in McMurray? If you haven’t, it would be a great outing with the kids. They taste AMAZING! Nothing like the grocery store. Just made 40 jars of jam and shortcake last week. Going to try your recipe soon. Hi Rena, I haven’t, as that’s a pretty long haul from where we live, but I would love to go berry picking! I’m thinking next summer might be perfect since Isabelle will be older! I have often wondered why are biscuits always round. Could I simply cut thru the rectangle dough with a bench scraper? No scrapes to re-roll. I know the never twist the round cutter rule. This is how I cut my brownies. Thanks & I LOVE your site. Hi Pamela, Yes you can totally do this, I’ve seen square biscuits before! 80s kid right here and still have my Strawberry Shortcake doll and many of her friends! Get this…they still smell the same! Every single time I come across them in my childhood boxes, I have to smell them all. Every single time I smell them all, I wonder how toxic these chemicals must be to still smell after all these years! HaHa! Congratulations! I was wondering if your craving for fruit might have been related to something or other! ;-) I can attest that strawberries macerated in Grand Marnier is fabulous! And if I have leftovers (accidentally on purpose) I stir them into my yogurt for breakfast the next day. First — my wish for happiness for you, Michelle, & your CCC as you welcome your new bundle of love! God bless you all! Enjoy each & every moment — times has a way of “flying by”! Next, could you post CCC’s blog about drinks. I thought I saved that email … It is out there on the cloud somewhere!?!? Thanks so much!! I LOVE strawberry shortcake – this looks delicious!! I ADORE strawbery shortcake. It’s probably my favorite non-chocolate dessert! This sounds delicous and I love, love, love how georgous your pictures are! Congrats! Hope you are eating organic ones since the conventional ones are one of the most sprayed fruits…gotta look out for the little one! Love fresh strawberries and will eat them for lunch. This looks like a fabulous summer dessert! And I loved the Strawberry Shortcake character when I was little! My room was Strawberry Shortcake! Loved those dolls ! Love strawberry shortcake, both the character and dessert! I’ve been infatuated with macerated berries this summer! So, juicy! Just like my mom always made (except that her biscuit was a bit sweeter and she baked it in a cake round and cut it into triangles to serve). I confess that I was never much of a fan of strawberry shortcake, but I would have the macerated strawberries with just the whipped cream. Yum. I loved Strawberry Shortcake as a kid too, although Apple Dumplin’ was my favorite. My mom saved some of our Strawberry Shortcake dolls and almost 30 years later, they still smell like strawberries. This looks delicious! I was obsessed with Strawberry Shortcake as a kid. My whole room was covered in her. My room always smelled really good. I loved introducing my little girl to her! We love walking through the toy aisle smelling all the dolls. :) We just went to see one of the new SS shows they had as part of a summer program at the local theater. Maybe you will get to introduce your little girl to SS, too. :) So excited for you! I cannot wait to try this recipe. Sometimes I get so tired of trying shortcake and it’s an actual sweet cake rather than a biscuit. This simply looks delicious! 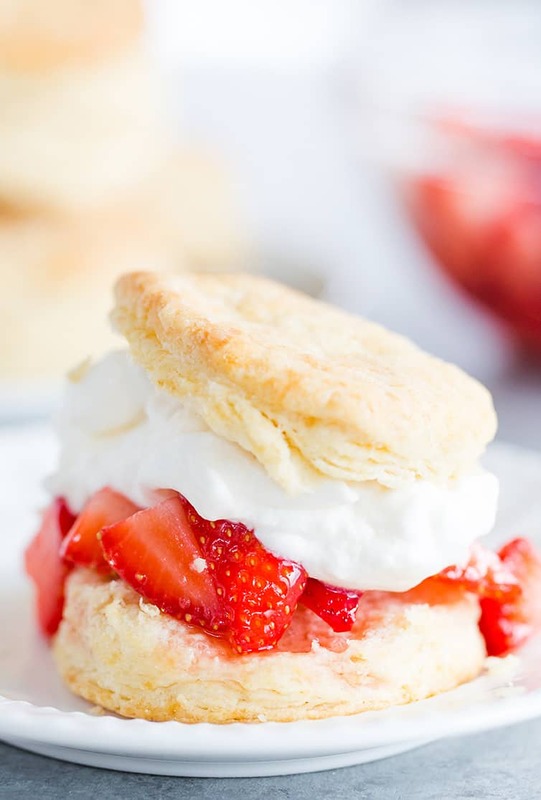 Nothing beats fresh strawberries on fresh biscuits for dessert in the summer. Bring on the strawberry shortcake! I love strawberries! My favorite way to eat them is in yogurt. Yum!! Heh the first thing I thought of when I saw the title of your post was the character. My sister and I loved her as kids. Our room was decorated with Strawberry Shortcake (except for the Rainbow Brite table). Plus she had the Strawberry Shortcake doll and I had Lemon Merengue (who actually smelled lemony). Wow talk about bringing up some old memories! First one to comment!! This looks super tasty, but really just want to give you a HUGE congrats! I’ve been a follower since the beginning of time, and couldn’t be happier to see your sweet family grow. Can’t wait to follow along!